The definitive snare drum solo-method book. 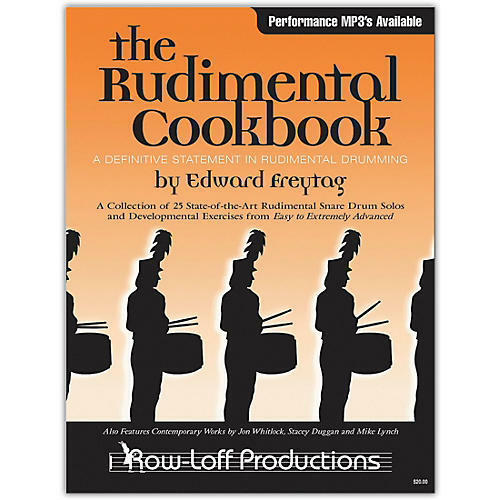 The Rudimental Cookbook includes the 26 American Standard Rudiments, the Percussive Arts Society Rudiments, an extensive list of Drum Corps Hybrid Rudiments and 25 rudimental contest solos. A must for anyone that's serious about playing the snare drum, it also comes with MP3's you can download to play along to.